The upcoming BBC His Dark Materials adaptation is filling up on mutant DNA all of a sudden; earlier this year, we reported that Logan star Dafne Keen would star in the film in the central role as Lyra, and now we’ve learned that a Professor X—if not necessarily the one Keen starred alongside in James Mangold’s superhero hit—will be appearing as well. 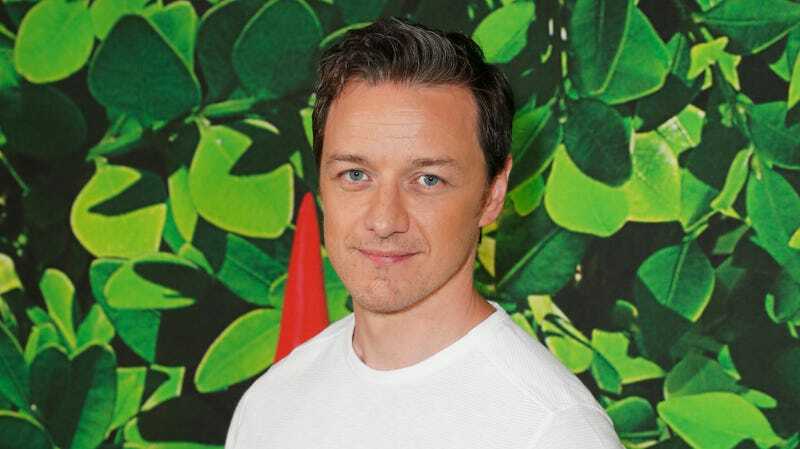 Deadline reports that James McAvoy has now signed on for the eight-part TV adaptation of Philip Pullman’s beloved YA explorations of religion and burgeoning adulthood. McAvoy will play the mysterious Lord Asriel, a part played by Daniel Craig in the ill-fated 2007 film version of the first book in Pullman’s series. He’ll also be joined by Clarke Peters—still probably best known as the unflappable Lester Freamon on The Wire—who’ll play Lyra’s mentor. (Lin-Manuel Miranda’s in there, too, apparently.) King’s Speech director Tom Hooper is handling directing duties on the series, while the script comes from Wonder’s Jack Thorne. There’s no word yet on when the series might see the light of day; it blew through a proposed release date last year, and BBC hasn’t been anxious to set out a replacement timeline for the series to make its way to the screen.